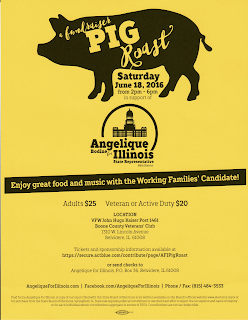 Please join and support Democrat Angelique Bodine for Illinois State Representative, 69th District at her meet-n-greet Pig Roast Fundraiser, TODAY, Saturday, June 18, 2016. I have it on good advice that Angelique is a strong, solid Democrat with a focus on healthcare, education and jobs. 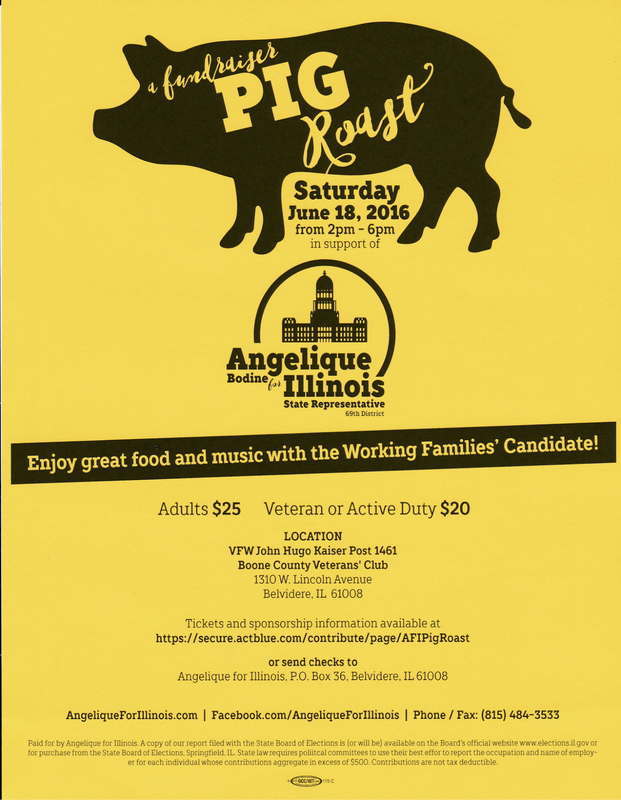 She is the "Working Families' Candidate!"